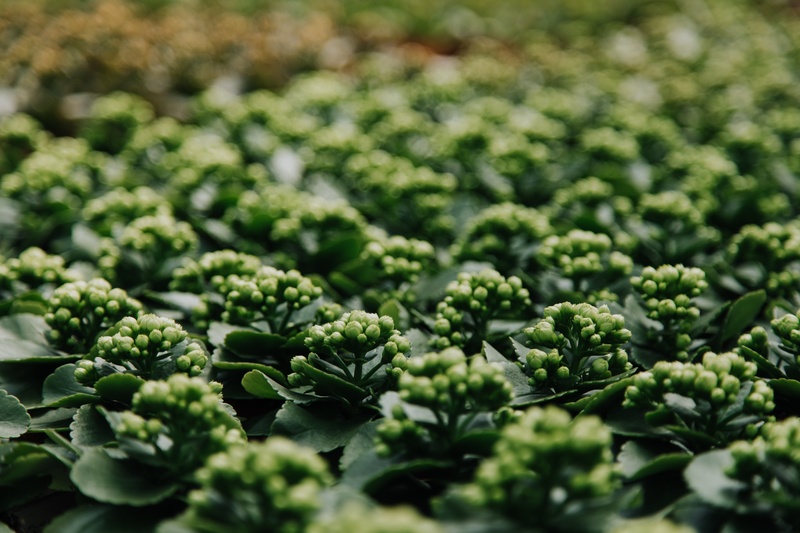 Meyers Farms | Website Design Hubspot Development | H&C Inc.
empowering a company rooted in tradition to continue growing forward. Meyers Farms has a rich history of more than 60 years in the agricultural sector with properties throughout Niagara-on-the-Lake, Ontario. What started as a family fruit farm in 1951, has expanded in size and scale, now providing mass-market retailers across North America with fresh, seasonal produce and beautiful blooms year-round. 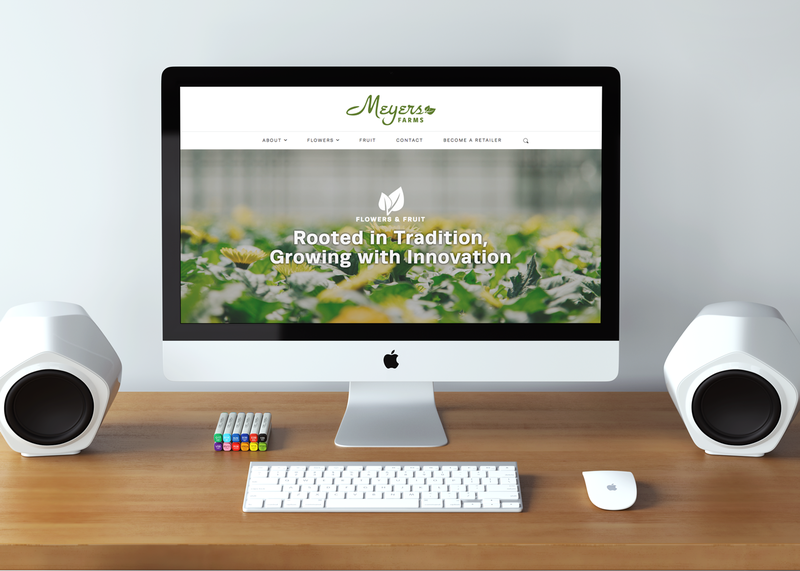 When Meyers Fruit Farms decided to officially rebrand to Meyers Farms, an identity that better reflects their fresh fruit and flower offerings, they needed a refreshed look and website to show who they really are. H&C Inc. worked with the Meyers Farms team to learn about their history, values, mission and more to bring their brand to new heights. Their new website is the perfect representation of who Meyers Farms is, with big and bright imagery of their blooms and fruit mixed with photos of their people, who are invaluable to the farm, at work. 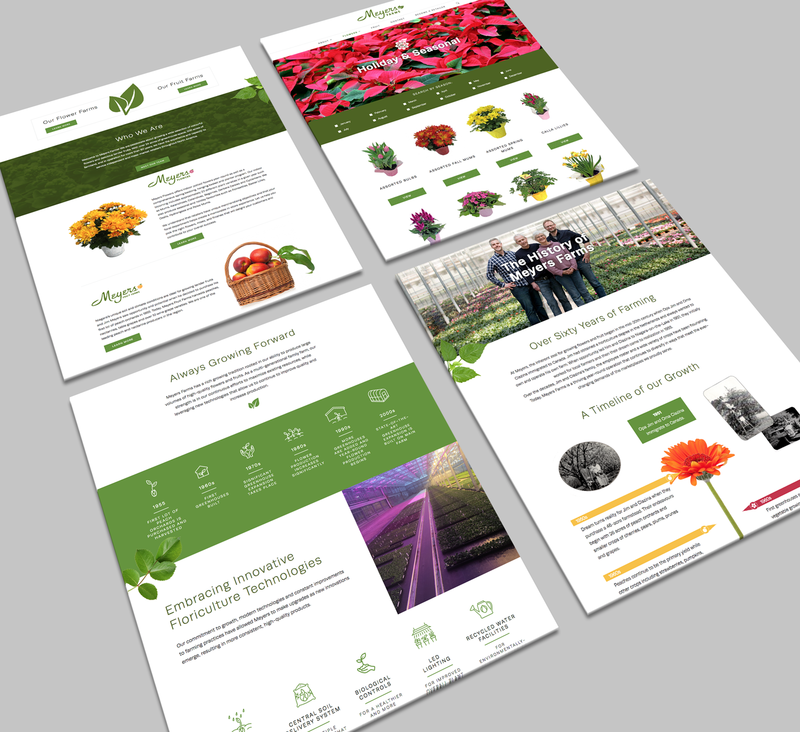 The new online space not only teaches visitors about Meyers Farms and its history, but also features all floral products with varieties, availability, care tips and more to make their products and programs even more accessible to their current and potential retailers.